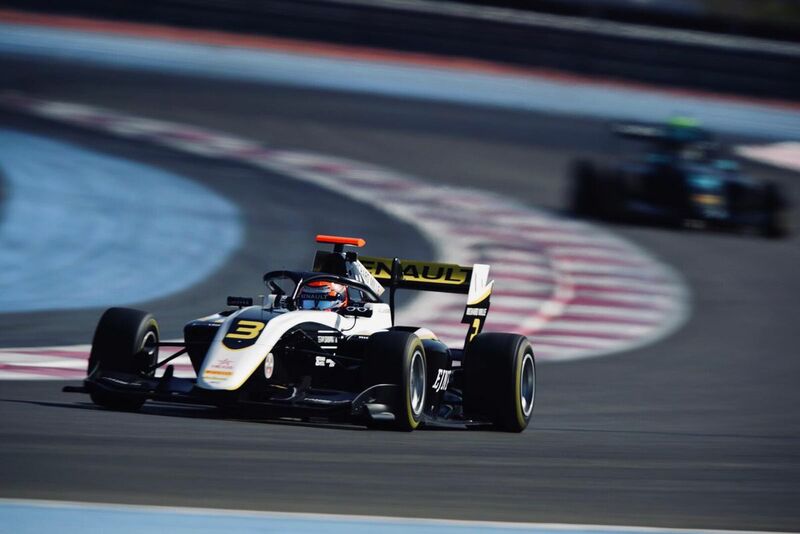 Renault Sport Academy driver Christian Lundgaard set the fastest laptime of the first FIA Formula 3 pre-season testing at the Circuit Paul Ricard in France. The Dane clocked in a time of 1:48.786 to top the two-day test session overall. In the afternoon, it was Yuki Tsunoda from Jenzer Motorsport who was quickest in a 1:49.301. The pitlane opened at 9am local time on the second day of testing and under blue skies. The three ART cars rushed to the track, led by Max Fewtrell, but it was David Beckmann who quickly set the early pace. PREMA’s Jehan Daruvala dipped under 1m51s to go top ahead of Richard Verschoor and Lundgaard. The Dane improved further to claim the top spot in 1:50.410. Fewtrell was the first driver to break the 1m50s barrier. His time was later bettered by Daruvala who lapped the track in a 1:49.445 as Leonardo Pulcini move up to P2 (+0.2s). Halfway through the session, Lundgaard brought out a first red flag after he stopped in the pit entry. At the restart, Robert Shwartzman claimed the top spot in a 1:49.036 whilst Fewtrell set the second quickest laptime (+0.097s) just before a second stoppage after Sebastian Fernandez halted on the Mistral straight. Pulcini was the first man to dip under 1m49s.Ten minutes before the chequered flag, Marcus Armstrong went quickest in a 1:48.800, but Lundgaard improved on the Kiwi’s time by one hundredth to end the morning session on top of the standings. Pulcini finished third ahead of Shwartzman, Ye Yifei, Verschoor, Fewtrell, Liam Lawson, Jake Hughes and Felipe Drugovich. After the lunch break, Verschoor set the early pace in a 1:49.582. One hour into the session, the proceedings were halted after Tsunoda stopped at Turn 15. A second red flag period took place just before the two-hour mark after Verschoor stopped at Turn 2. At the restart, Hughes went fastest, but Niko Kari improved on the Briton’s time by two tenths to claim the top spot in a 1:49.372. The running was halted a third time after Beckmann parked his car at Turn 2. The track was clear with thirty minutes left on the clock. In the dying stages, Tsunoda lapped the track in a 1:49.301 to claim the top honours ahead of Kari, Pedro Piquet, Hughes, Verschoor, Alexander Peroni, Pulcini, Bent Viscaal, Lawson and Fernandez. This concluded a successful opening testing of the FIA Formula 3 Championship. Next stop: the Circuit de Catalunya in Barcelona on April 09-10 where the teams and the drivers will attend the second pre-season test session.